and email it to us at Support@Bluestacks.com Thanks! Well, if you mail it to the Bluestacks official team, it would do little help. Bluestacks official team would be getting lots of error messages everyday from all around the world. Being so much popular as a official team, it would take longer time to reply you the solution of this error. So, I am writing this article to help you solve Bluestacks Installation Failed MSI Log File error on your own. Though you have all the system requirement fulfilled, Bluestacks MSI log file error often interrupts your joy. This error mainly arises if you are installing Bluestacks through Offline .MSI setup file. In this error, the installation procedure get stuck and a message prompts on your screen which stops the installation procedure. This error is most prone to the users who are installing Bluestacks for the second time. It also mostly takes place in Windows 8. So, if you are updating your version of Bluestacks or if you have just migrated from Windows 7 to Windows 8 and trying to download Bluestacks via Offline installer, you must be coming through this Installation failed MSI Log File error. If there are some files of Bluestacks left in your system due to it’s previously installed version. 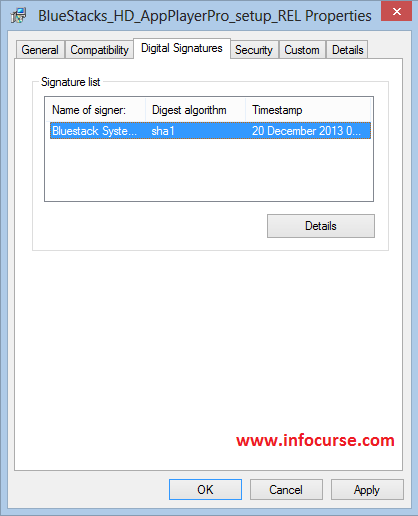 If your system fails the certificate check of Bluestacks or it could not identify the digital signature.. If the offline installer version of Bluestacks could not identify your graphics card. If there is some problem with your Graphic Media accelerator program. This reason is the least case. Update your Graphic card – You should update your graphic card as it is necessary to enjoy new softwares and features. If your graphics card driver is most updated, Bluestack will be installed successfully. Use the following links to auto-update your graphic card drivers. Enable the Java in the browser before upgrading them. Update Graphics Card Driver For Intel Chipset. Update Graphics Card Driver For AMD. Update Graphics Card Driver For nVIDIA. Open Run dialogue box by pressing Windows + R button in your keyboard. Type regedit and press edit. A window of registry editor will open in your screen. You would see some directory files at your left hand side. Navigate to HKEY_LOCAL_MACHINE>>Software>>Bluestacks. Delete the directory named Bluestacks and close it. Now, install the Bluestacks again. It would surely solve your problem. Install Net Framework – Try to install net Framework and see if it helps. At first, find the Offline Bluestacks .msi file that you gonna use. Right click on it and select Properties. 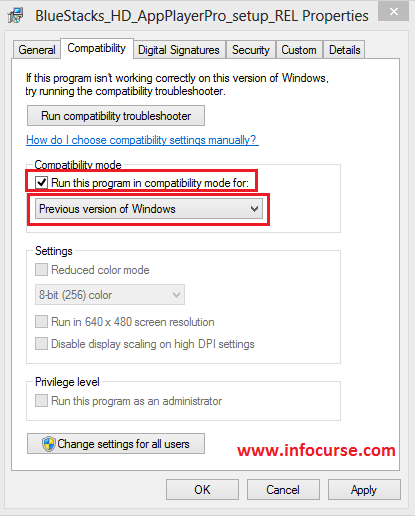 Click on compatibility tab and tick on “Run this program in compatibility mode for”. Select your windows and click on Enter. Now, click on Digital Signatures Tab. Now, Click on Details and then click on View certificate. 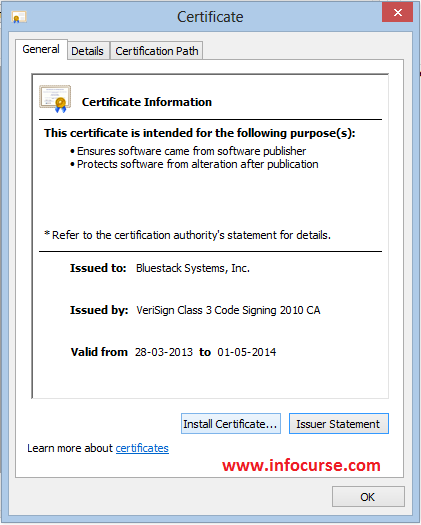 In certificate Dialogue box, click on Install Certificate. 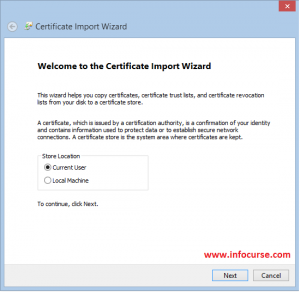 Now, go to Certificate Import Wizard, mark on Current User and click Next. 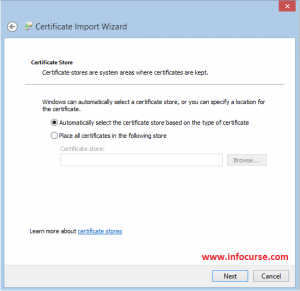 Now, choose Automatically select the certificate store based on the type of certificate and click on Next. Click on Finish. 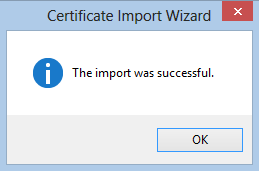 Now, you would see a message prompting “The import was successful”. Press OK and Save it on Bluestacks Properties. That’s it. 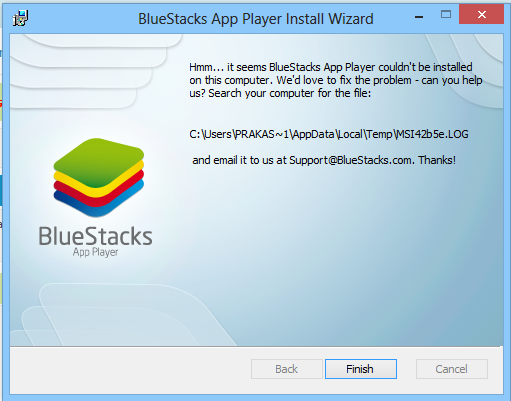 Now, try to install Bluestacks in your system. NOTE: You could also use ‘Orca’ software to bypass Certificate check. Download Orca Software from here. Previous articleFix/remove unknown error during application install 919 in play store. Next articleHow to play psp games on ios using psp emulator | iphone, ipad.